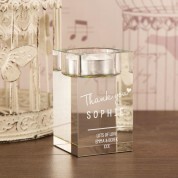 A great way to say a big thank you to someone who deserves it! 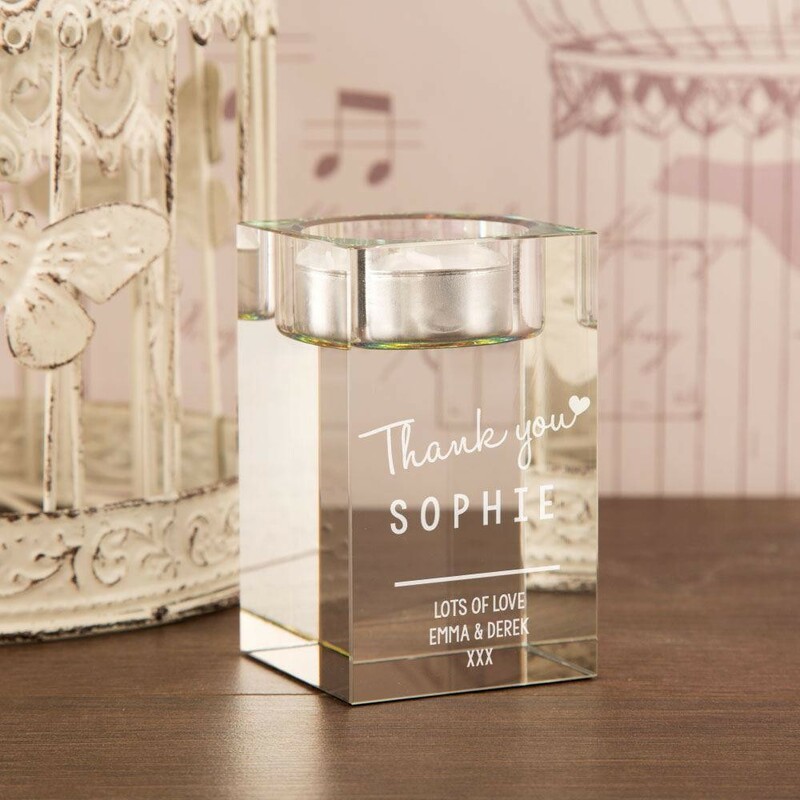 This personalised glass block tea light holder will light up any room with its heart warming message. 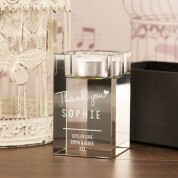 It includes personalisation – the recipient's name and a short message of your choice. 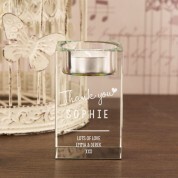 The solid block has rainbow effect glass which glistens when lit, and will look beautiful sitting on the mantelpiece or table. A timeless gift they they can treasure and enjoy for years to come.